Good news is that the ASPCA was approved to participate in the campaign. They are up for voting to win $250,000 that will be used to support and help the Field Investigations and Response Team. I actually researched what exactly they do and here it is. The group was created in 2005 after Hurricane Katrina to help rescue animals that were abandoned and stranded in the storm or after math of it. Now after the storm they now help aid and rescue animals from natural and man-made disasters. They help animals from fires, puppy mill raids, and extreme cruelty cases. They need the funding to help buy special equipment and rescue vehicles to make it easier to help animals in bad places and help place them in a safe, loving home. Never heard of the group but they seem like pretty amazing people doing extraordinary things. What you need to do: There are two winners in their category and they are awarded to the ones with the highest votes. Voting will be allowed until August 31, 2011.You can click the link below make an account and vote EVERYDAY. 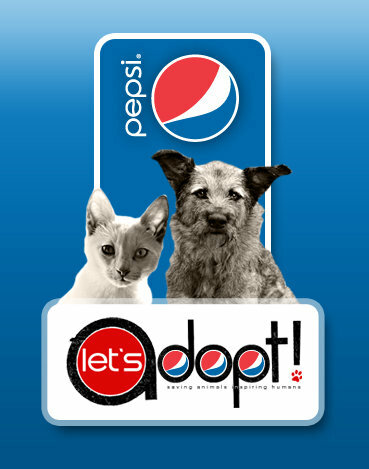 You can vote from there everyday, or you can simply text 101882 to Pepsi (73774).. please do what you can. Pass on the word, post on facebook, twitter, tell your friends. It is a great cause so just think about it. It is OFFICIAL! 18 days till the big man comes. For those of you who have been to the crazy mall lately, I bet you have stopped to look at all the adorable children dressed and done up for their pictures with Santa. Well don’t forget about your pets, they want to see Santa “Claws” too! 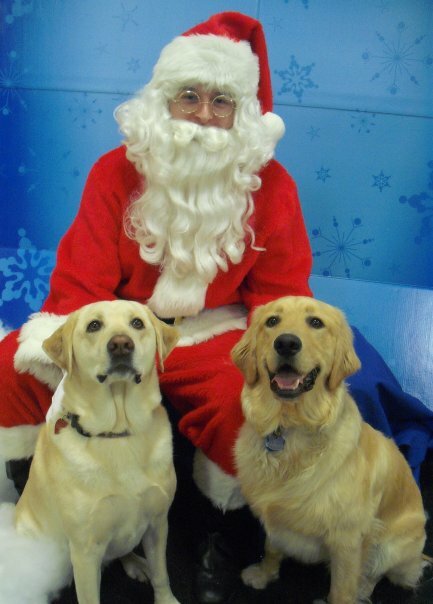 At Petsmart they take your animals pictures with Santa. We have one from a few years ago when our oldest lab was a puppy as an ornament for the tree. Every year when we decorate the tree and we see it we stop and awe over her little Oakley was. Also our black lab that is now no longer with us is in the picture. So not only is it a fun thing to do but it is a great keepsake to keep over the years. Bella will be getting her picture taken with Santa of course for her first Christmas. 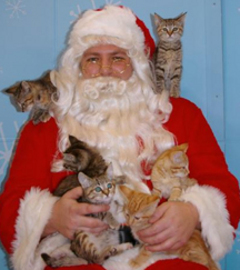 They even have a Facebook page for the Santa “PAWTRAITS”. Below I will post cost, days, and times for the photo events. If you end up taking your animal, let me know – comment or share your picture with me and I will post it on my blog. WHO: Mostly dogs but it says cats are welcome as well just keep in mind the kind of environment they will be in. WHEN: The first 3 weekends on Saturday and Sunday in December 4-5, 11-12, and 18-19. PRICE: The photo package ($9.95 with your PetPerks card) includes a digital photo of your pet with Santa in a collectible holiday frame. “Our adoption partners are playing Santa Claws’ helpers, and $5 from every photo package will be donated to these participating partners to help save the lives of homeless pets.” – From their Facebook page, so not only will you be doing something fun for your dog, you will be helping homeless animals. How can that get any better? Want a dog or cat but just cannot sign up for such a commitment right now? Would you like to help save newborn puppies or kittens or all dogs and cats for that matter from being euthanized? Well I have the job for you. Ever heard of fostering an animal? For those of you who haven’t, i’ll break it down for you. Sign up or apply with a volunteer program to be approved to foster an animal for an amount of time. You will not have to care for the animal the rest of its life (unless you fall in love with them and decide to keep it 🙂 ) but give it back once it reaches a certain age and i is ready for a full adoption to a loving family. Some fostered animals are new born kittens or puppies that are too young to be adopted, or older ones that are injured and need help being nursed back to full health. Don’t let that scare you away because the organization will walk through EVERYTHING with you and send home information to help you with your animal. This is such a great thing to do because animals that otherwise would have been euthanized get the chance to feel love at a home and even get adopted down the road. The shelters are overcrowded so any help they can get or any animal that does not have to get the needle is a success in its self. They are more in need for fostering kittens. One rule is all cats and kittens must be kept inside at all times. 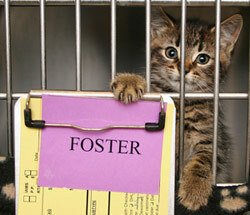 Amount of time for fostering an animal could range from 2-8 weeks depending on the animal and the organization. The other option instead of fostering is that most animals will die. Sorry to put it that way but it is the truth. 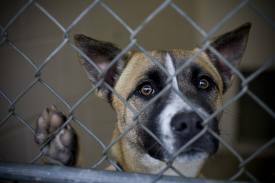 With such a problem with overcrowding, the shelters can just not handle the heavy inflow of thousands of animals. If you are the type of person who is not in a position to handle an animal with your schedule right now or the whole commitment scares you, or you are debating whether to adopt an animal, this is perfect for you. While figuring out what you want, you are doing an AMAZING thing for these animals. They need your love and support. My family and I have fostered very young kittens multiple times and it was a great experience. Since I have dogs and other cats, these kittens experienced interacting and getting along with dogs and children that they may not have gotten being locked away in a shelter. It makes people want to adopt them more since they know they would get along with their other animals or children at home. I get very attached to animals but was surprised that even though I fell in love with these kittens, it was only hard at first to see them go because I know we gave them a chance they may not have had otherwise. For more information on fostering click here <– link includes an application to submit to become a foster parent. 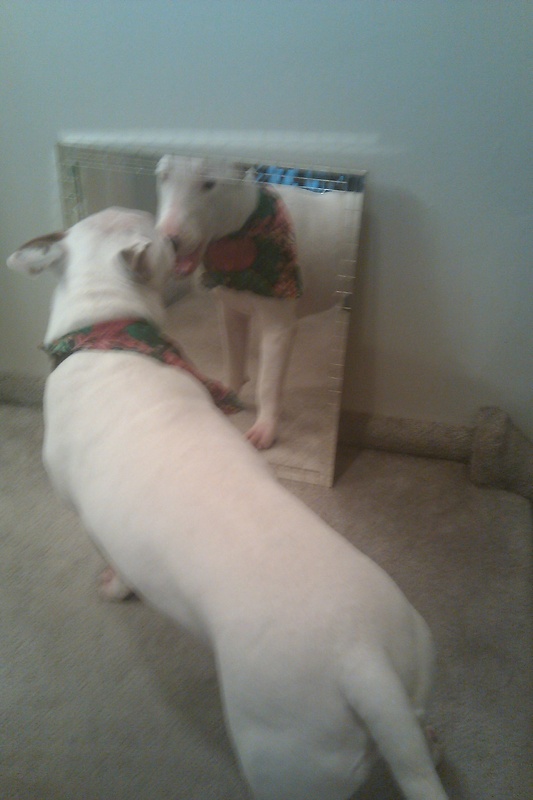 My dad was installing a mirror for my Grandmom and Doser would not stop barking at crying at himself in the mirror. Our beach days may be far behind us now that the holidays are approaching, but not so much for our dogs. 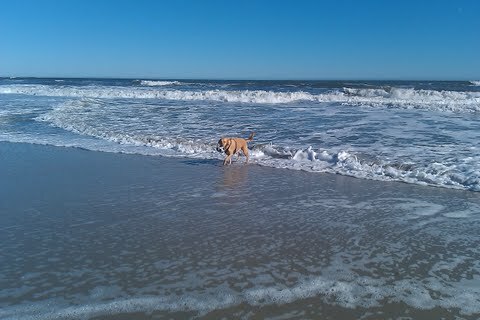 There are very few beaches around the country that actually allow our dogs to roam around on the beach without a leash. Living in New Jersey, I must say, the beach is a very important part of our lives. Whether day trips, night trips to the boards, or vacationing, animal lovers hate leaving our animals at home. My family always vacations in Sea Isle in animal friendly houses. They are very easy to find on realtors websites – just click on rental search and check animal friendly. This way the whole family is in for a vacation. The end of beach season we always try to take our three dogs to the beach a few times. I know in Sea Isle dogs are allowed on the beach before Memorial Day (May) and after Labor Day (September). Having two labs they just like being in the water no matter the temperature. The ocean water is still warmer then air temperature so at least the ocean water is not below freezing. Last weekend we took our 2 labs and bull terrier to the beach while looking at rental properties for next summer. They had a blast, here are some pictures to enjoy because they sure did. Millions are dying, are you aiding it? Let’s start out with a question… are your animals spayed or neutered? A lot of people just brush this question off and do not think of it as such a serious matter. WAKE UP! IT IS! There is plenty of myths out there about problems getting your animals spayed or neutered. Let’s discuss this a bit further. One myth is that animals change completely and become extremely lazy and fat after the surgery. – WRONG. The surgery may mature your animal but they will be the same animal when you pick them up. Most likely they become fat because they are not exercising enough, or most likely being fed too much. Another myth is that it is unhealthy. – WRONG. It has actually been proven that getting your animal spayed or neutered elongates their life span. They are also less likely to develop certain cancers in their reproductive system, which are very common. “I want my dog to be protective” – WRONG. It is an animals natural instinct to protect their family. “I don’t want them to feel less of male or female.” WRONG. Pets do not have a sense of sexual identity. Also when spaying or neutering them, they will be less territorial and less likely to get in fights with other animals due to mating, which happens ALOT. “The surgery is too expensive, I cannot afford it.” WRONG, their is plenty of clinics and special organizations. It is not too expensive, plenty of clinics and organizations offer plenty of top of the line veterinarians conducting low cost surgery to help this epidemic we are trying to fight. For instance did you know The Humane Society of the United States estimates that 6-8 million animals are being taken care of in animal shelters. From them 3-4 million are euthanized due to overcrowding. Why? Because their is much more animals being born daily then there are homes for them available. Stop breeding, we have animals in shelters dying every day. Let’s help them before bringing more into this world. Here are links for organizations that offer low cost surgery and one where you can even put it in your zip code and tells you the closest one to where you live. I did the research… it’s your turn. One good thing is that your dog will most likely not lose their appetite nor energy level. Of course my boyfriend took her immediately back to the vet where they gave her a few different antibiotics. Thankfully the pet store where we got her from had a 2 week grace period, where anything viral or bacterial that happens to the puppy they will cover the full bill. When buying an animal you should always look into this type of agreement, it saved us close to $300. While Bella had a rough week, she is now all cleared up from her symptoms and is no longer coughing or bringing up mucus. But my story continues. 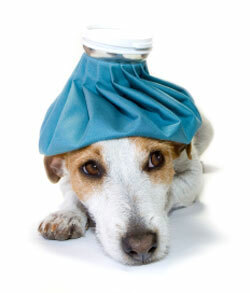 Kennel Cough is VERY contagious. Bella was around my three dogs and lives at my boyfriends house with their other dog. 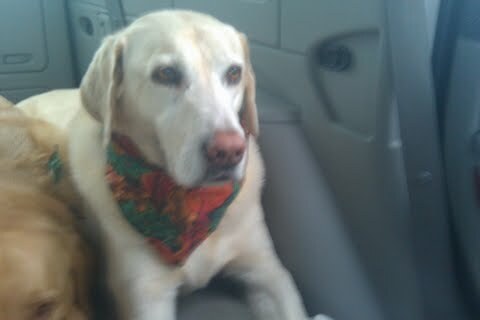 Within a week of her diagnosis my youngest lab began his coughing and the other two shortly followed. My mom called our vet and they told her to put them on over the counter cough medicine. He said unless they start bringing up yellow or green mucus, their appetite declines, and they are very lethargic this will pass through their system within 7-12 days. We also learned that whenever one of my family members took a hot shower to bring the dog into the bathroom because the steam is very good for them. One way to check for Kennel Cough on your own is to press two fingers on their throat where they swallow and if they cough almost immediately, chances are your puppy is sick 😦 . As you can imagine a collar around their neck can become very irritable for them, so remove it when inside. Although Kennel Cough will usually run its course you should be careful for fluid in their lungs – pneumonia. Quite a few rough nights later, we are seeing a change in our dogs for the better. Although Bella has stayed quarantine d at my boyfriends house since we are trying to contain this whole “epidemic” from going back and forth, it is hard! She wants to play non-stop and since my boyfriends other dog now has it as well, she is a bit limited. We are hoping by this weekend all will be well. And since the vet said that it can also transfer to cats, we are keeping a close eye out. You probably agree with me when saying seeing your babies sick like this is a horrible experience, but hey things could be worse!